Thank you all for visiting and participating in the giveaways! The Fruitcake Challenge is available for $0.99 on Amazon and Barnes and Noble. Step back in time to 1890, in beautiful Northern Michigan, near the sapphire straits of Mackinac, when the white pines were “white gold” and lumber camps were a way of life. Jo is ready to find another life outside of the camps and plans that don’t include any shanty boys. But will a lumberjack keep her in the very place she’s sworn to leave? When hope runs out, will God provide a way for Jo to achieve her dreams? 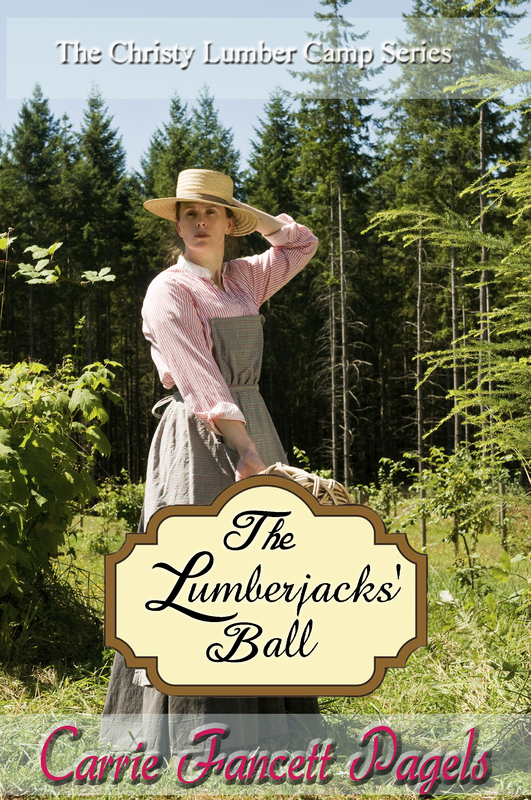 I opened the pages of this novella and stepped into a lively lumber camp of 1890! 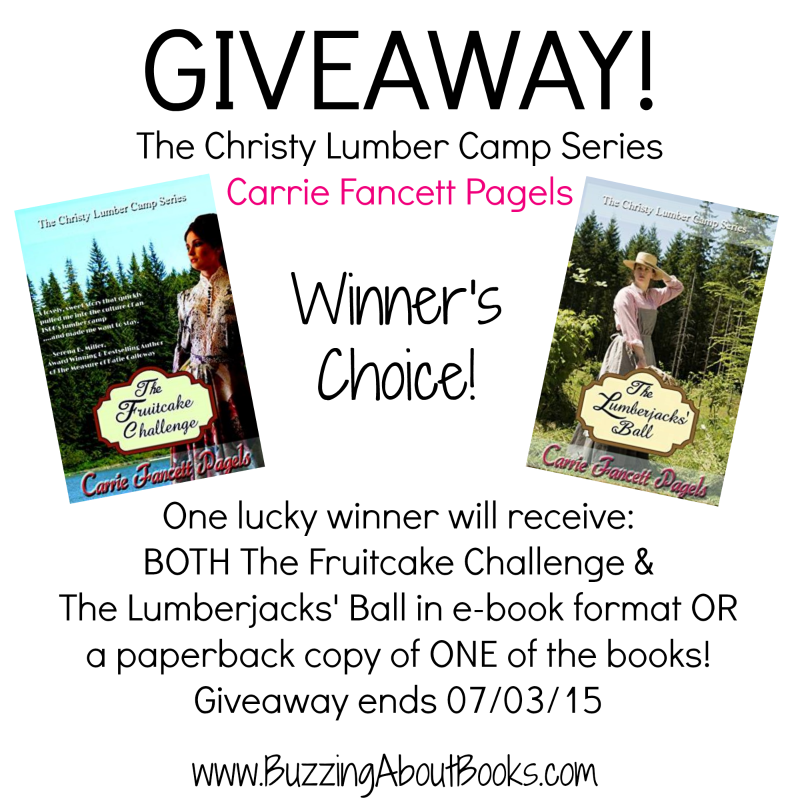 Carrie Fancett Pagels brings to life a delightful cast of characters, as well as the sights and sounds of Northern Michigan. There are so many things I adored about this delectable tale! Equal parts entertainment and encouragement, mixed with savory nuggets of history, dashes of sweet romance, and pinches of humor sprinkled throughout, make a perfect holiday treat! I loved The Fruitcake Challenge and highly recommend this novella! Download your copy for only $0.99 from Amazon or Barnes & Noble. 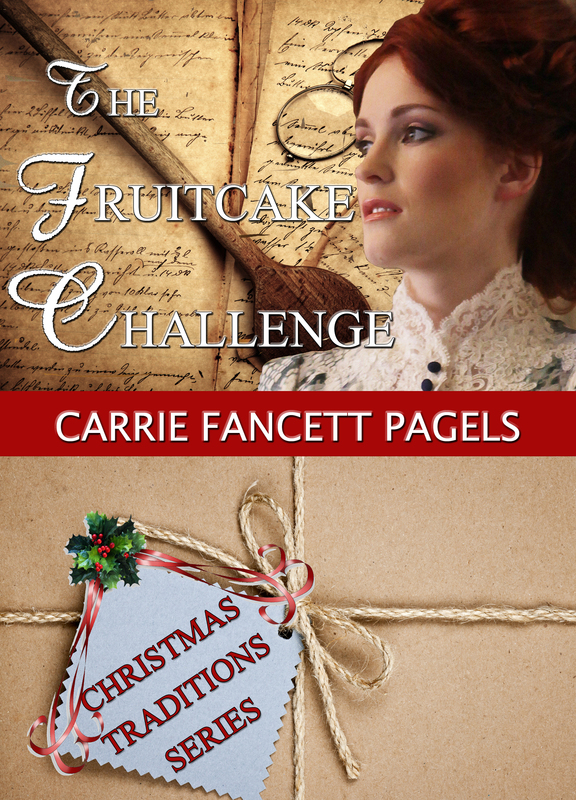 Carrie is giving away an ecopy of The Fruitcake Challenge to one lucky commenter on this post! Leave a comment, including your email address, to be entered. The giveaway ends October 8th at midnight CST. On Wednesday, I shared a wonderful interview with Carrie. 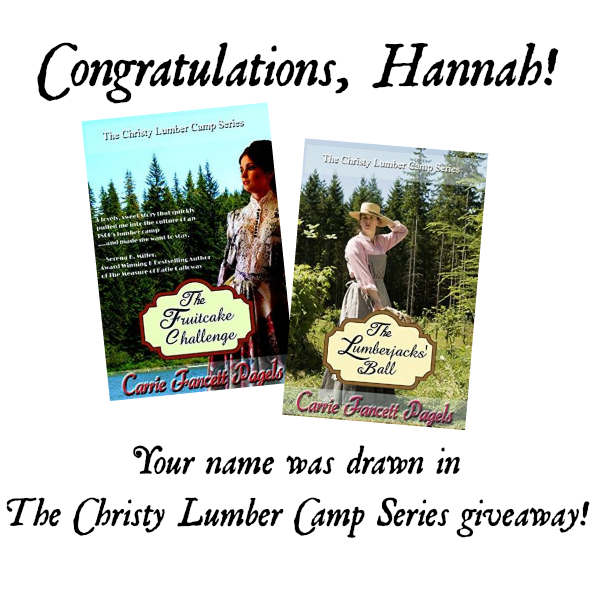 She has generously offered ebook copies of The Fruitcake Challenge and Return to Shirley Plantation to one lucky reader on that post, so be sure and comment on Carrie’s interview to be entered! The giveaway ends October 8th. Welcome to Buzzing About Books, Carrie! Please share a little about yourself. 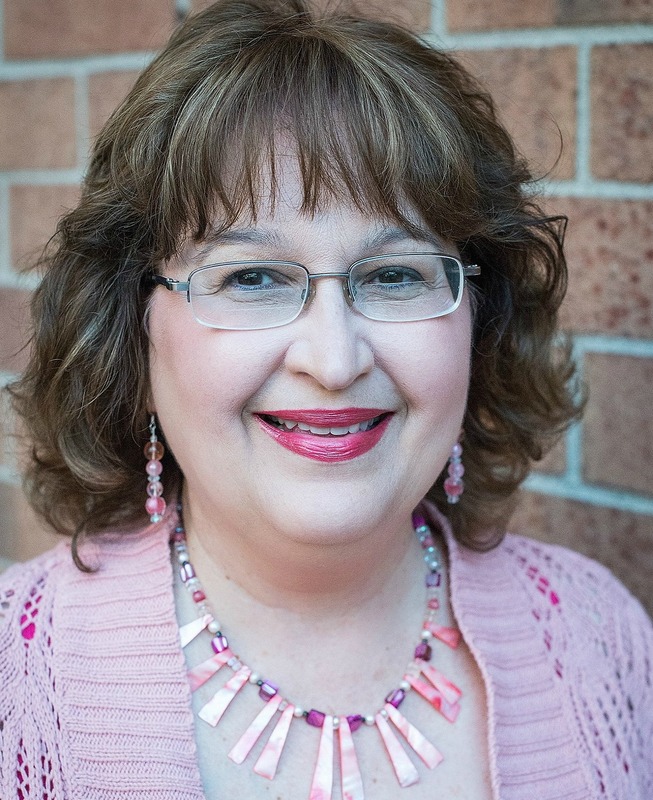 I was a psychologist for 25 years, working primarily with children and teens. I specialized in leaning difficulties. My doctorate is in School Psychology. Because of the severity of my RA, I was unable to continue working as a psychologist. But God has provided another path. I thought I’d be a psychologist until I was in my 70’s or even older because this was a career I trained hard for. But at the time I pursued my education I had turned my back on God. I’ve been writing since childhood. When I was in grad school, I dropped out and wrote my first complete novel, a secular fiction, and thank God when I shopped it around in 1979, no one picked it up. I returned to grad school and didn’t write fiction again (that I remember) until I finished my Ph.D. Then, pretty much every year I’d start working on a project. But it was only after I began to get more ill that I spent more time on my writing. God has to prompt me to write but I do believe He has anointed my writing, so I have a commission from Him to do so. I normally am doing some writing or writing-related activity daily. Absolutely a plotter but I allow some pantsering as the characters may take me different directions. I love, love, love getting to spend time bringing the characters and stories and settings to life on “paper.” I detest those grinding final edits. They need to be done, though. Historical fiction requires extensive research. What is one of the most interesting things you’ve discovered in your research? I’ve found that some of the most interesting stuff is “wrong!” For instance, one of my yet-to-be-published stories was inspired by a great history which a docent told in error! I am always intrigued by the names authors choose for their characters. How do you choose your characters’ names? Often they are taken from my own genealogical background, from friends, or in this latest story I borrowed Jo’s name from “Little Women” which was one of my favorite stories! Please tell us about your latest release, The Fruitcake Challenge. The feisty 25-year-old daughter of the camp boss is challenged by a cocky new axman to “make a cake just as good as my mother made” and he’ll marry her! She initially has her dander up and wants to get him good for being such an arrogant shanty boy (and heaven knows she’ll never marry one of those because she wants OUT of the lumber camp!) But the story is really about hope. Because Jo has to let go of her earthly hopes to allow God to give her His hope which then results in the best outcome for her good. That’s what He wants for us! I discovered a few years ago that my grandfather, Christy Isley Skidmore, was born in Traverse City, Michigan, not in Kentucky, which is where he was from. I’d always wondered why he’d gone into lumberjacking and when I learned this about his birth, I realized he’d likely been born while my great-grandfather was lumbering in northern Michigan. I have no proof of that. But I do know that my Kentucky-born maternal grandmother did work as a camp cook in Grandpa’s camp and that my mom helped her. My mother’s personality is infused into Jo. I imagined just what she’d do with a cocky, educated, irritating lumberjack! I adored The Fruitcake Challenge and thought of fruitcake for days after reading the novella. Will you be sharing any fruitcake recipes with your readers? Yes! Thanks so much, Britney, and thanks for being part of the Christmas Traditions promo team! As we get closer to Christmas I’ll be sharing recipes. I have a Fruitcake Pinterest board set up now! Would your readers please share one of their recipes? What is a favorite holiday treat in your family? The birthday cake for baby Jesus is one. I love a Noel log but I rarely make them. I do so enjoy Claxton fruitcake!!! Thank you, readers, for coming by! Please pray for me because my unpublished novel, Grand Exposé, which is out on submission as part of a proposal, is up for the Maggie award as it is a finalist in the contest! An editor at the ACFW conference encouraged a group of us to submit a proposal to her based on a one sheet she looked at. So I’m doing up my part of that proposal and also another for that same company! Thank you so much for sharing this delightful interview, Carrie! Thanks for having me on, Britney! 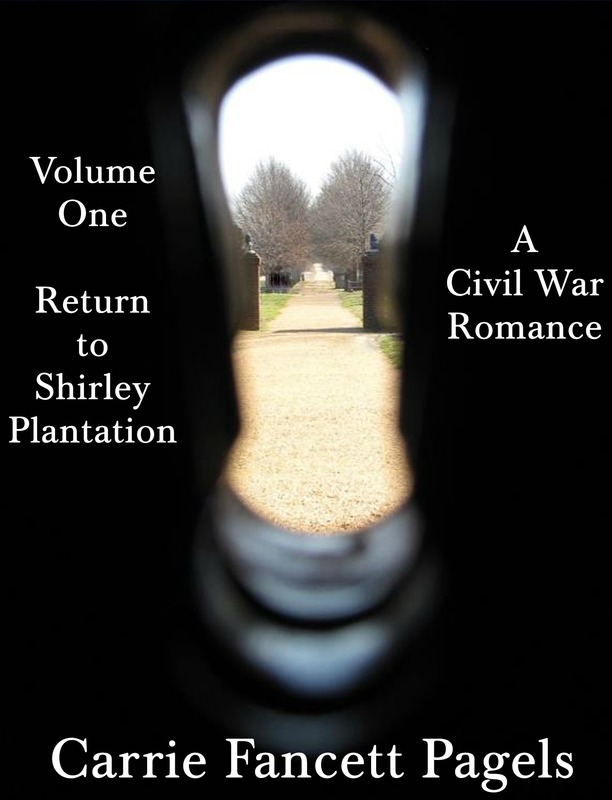 Carrie has generously offered to give away an e-copy of Return to Shirley Plantation and The Fruitcake Challenge to one lucky winner! Leave a comment, including your email address, to be entered. This giveaway ends Wednesday, Oct. 8 at midnight CST. Questions: Do you enjoy fruitcake? Do you have a favorite fruitcake recipe or other holiday recipe to share?